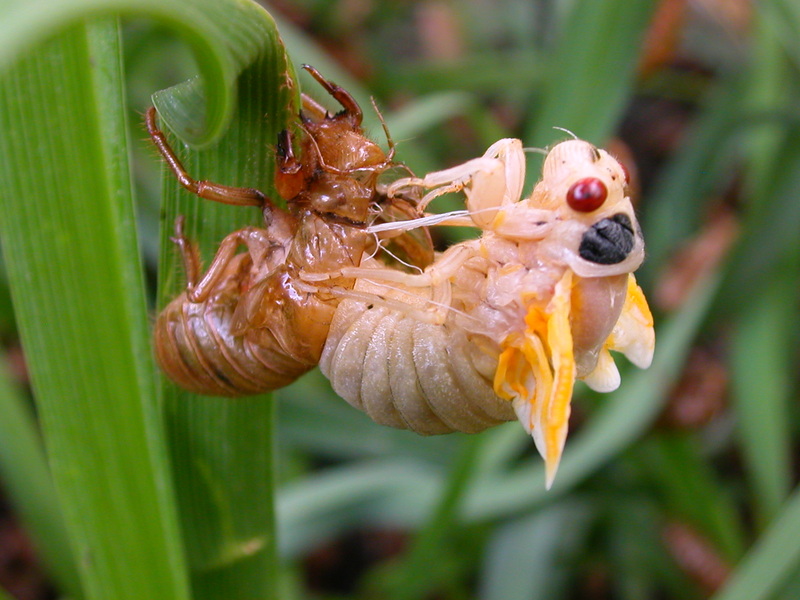 Tree-lovers cannot help but feel unnerved by the emergence of cicadas this summer. The colossal bugs with bulbous red eyes emerge from the ground every 17 years. In the process, they litter tree trunks with freshly-shed shells and carcasses. With wings in working order, the cicada flies to a tree for what many call the “mating frenzy.” Imagine spring break in Ft. Lauderdale heightened by the urgency of impending doom. There’s even an accompanying soundtrack, as males produce a loud buzzing song to attract the ladies. Luckily, mature trees tend to weather cicada season fairly well. However, according the Missouri Department of Conservation, flagging can damage saplings more severely. Aside from twigs and branches strewn about the ground, another tell-tale sign of flagging is large patches of brown leaves. 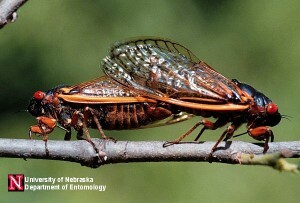 One thing to remember is that cicadas are not feeding on your trees. Nor will they bite humans or other animals. In fact, they barely eat above ground. They’re too busy molting, mating, laying eggs and dying. Roughly 4 to 6 weeks for cicadas. However, “flagging” could show up later on during the summer. Just keep an eye out for brown spots and fallen branches. 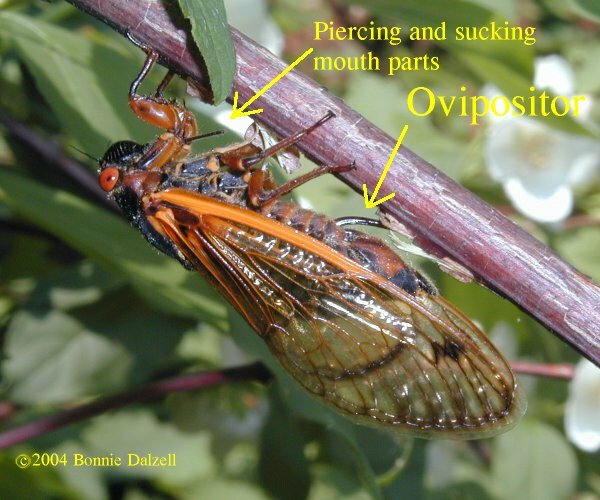 How can I protect my trees from cicadas? Do not try to combat cicadas with pesticides. Cicadas are ultimately part of our ecosystem –providing benefits to the environment—and deserve to be left to complete their life cycle. They aerate the ground by digging holes to emerge, and some argue that flagging rids trees of weak branches. Just sit back and let nature do its thing.